Harlow’s daycare class is broken down into a young 1’s class and an older 1’s class. This is her last week in the younger 1’s class and she gets to move up to the big kids class next week. (Queue the crying from mom). Even though Harlow has only been in daycare for 3.5 months, I still wanted to get her teachers something to thank them. I mean, these teachers are saints. Not only do they teach, guide & comfort my child, but they provide that support for 9 other children, 10 hours a day. Kids are exhausting, dramatic, have now learned the word no, they teethe which gives them fevers and puts them in pain, they cry, they bite and through it all Harlow has manners, has learned so much, has structure, can say so many words & we can have conversations with her, all thanks to her teachers! 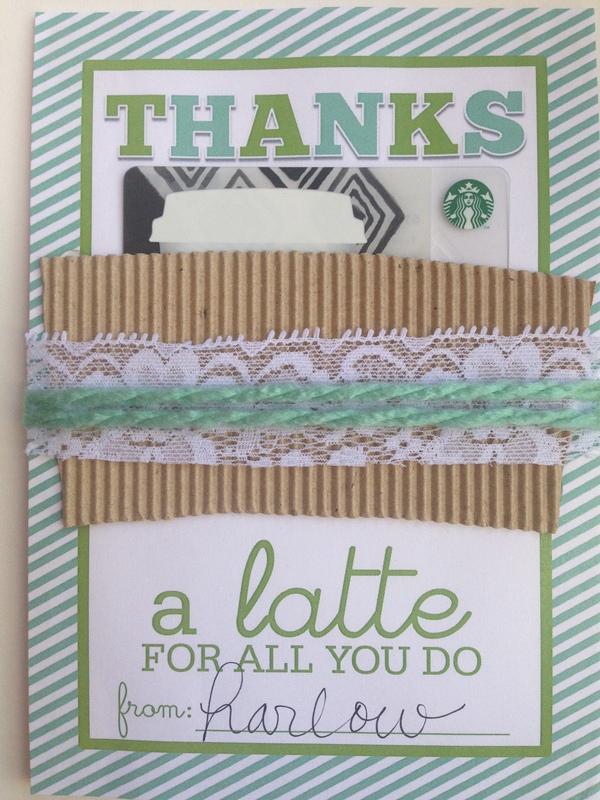 These teachers deserve awards and a small thank you gift is the least I can do. I of course turned to Pinterest, my online mom friends and my best friend who is a 2nd grade teacher for the things they like to receive the most. I also watched the video from What’s Up Mom’s where they featured one of their daughter’s preschool teachers and they discussed favorite gifts. The video, my friend and my online mom friends all said the thing they appreciate the most is a gift card and a heart felt note. Pinterest does have a ton of adorable ideas, but a lot of those ideas included nick nacky type things, lotions & candy, which are things that I would NOT want to receive myself. I know I always love receiving a gift card, so I thought that was the best way to go. I found this really sweet free printable that just speaks volumes to what the teachers do on a daily basis. They love Harlow so much which in turn makes me feel at ease sending her off to daycare everyday. I then decided on a Starbucks gift card since there are two Starbucks within a mile of the school. I know not everyone drinks coffee (me included), but there are so many other options there such as the refreshers (my fave), tea, lunch items and pastries. Definitely something for everyone to treat themselves. 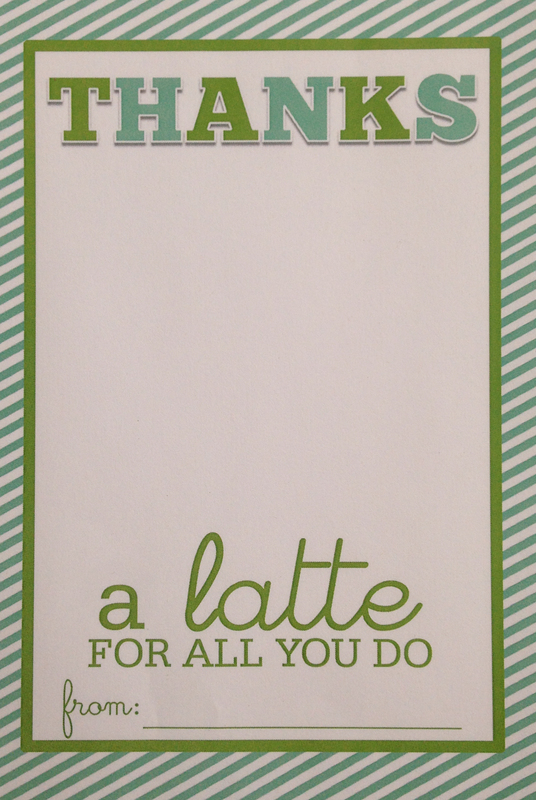 I found this adorable free “thanks a latte” printable which would allow me to add a nice little touch to a gift that isn’t very personable. 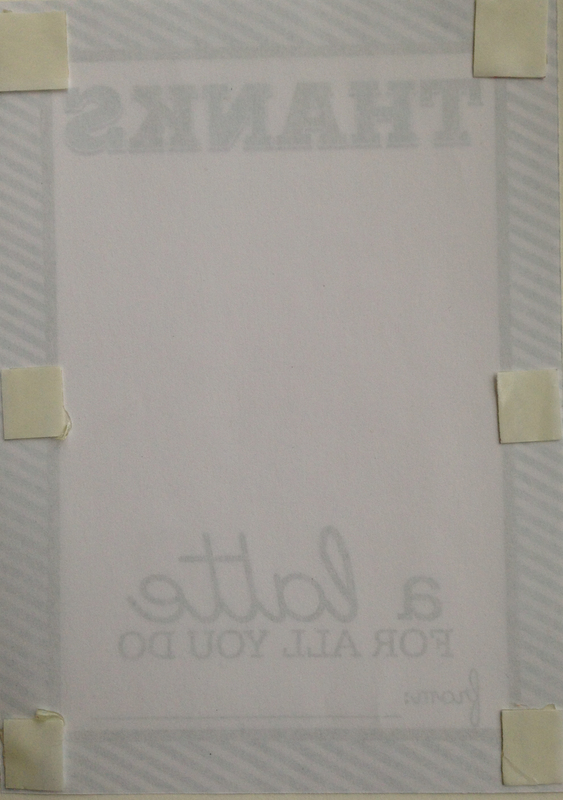 My printer can’t print card stock so I just printed this on normal paper and then cut off the white edges. 2. 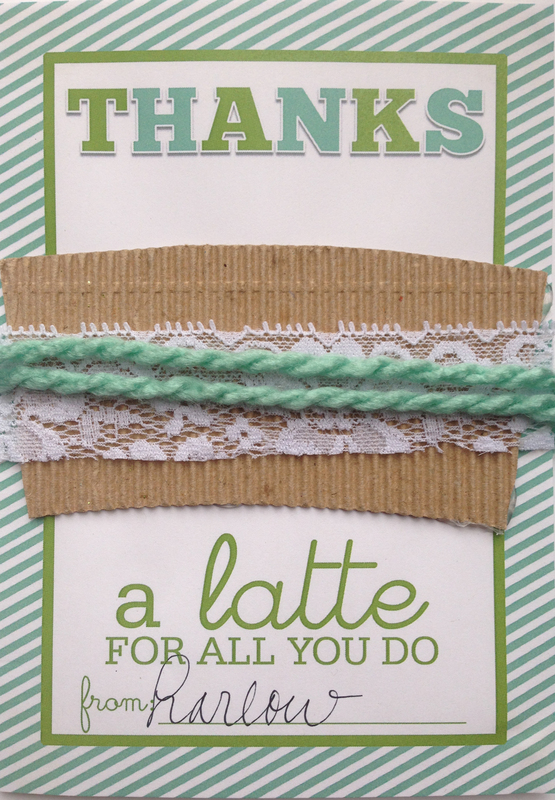 Back the printable with double sided scrap booking tape, paste on a sheet of card stock, and then cut the excess card stock. 3. 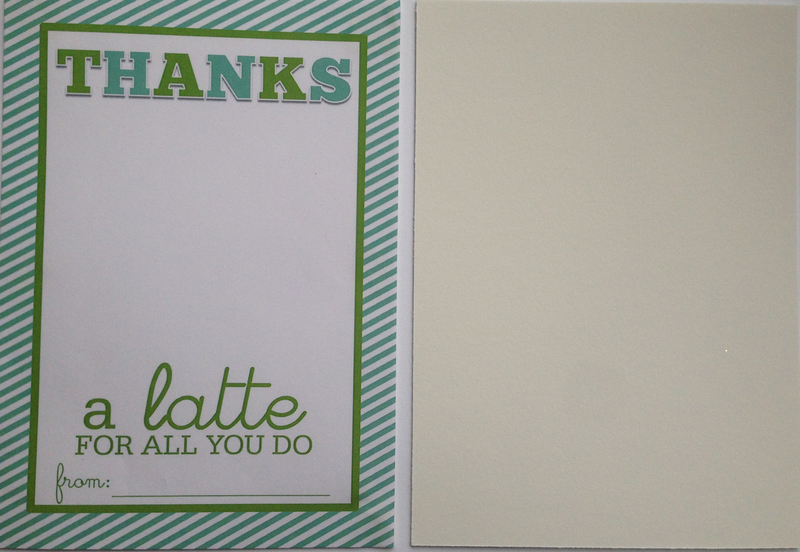 I only had a cream colored card stock, but I didn’t really mind since it wouldn’t be visible or obvious that it was a different color than the white on the printable. 4. 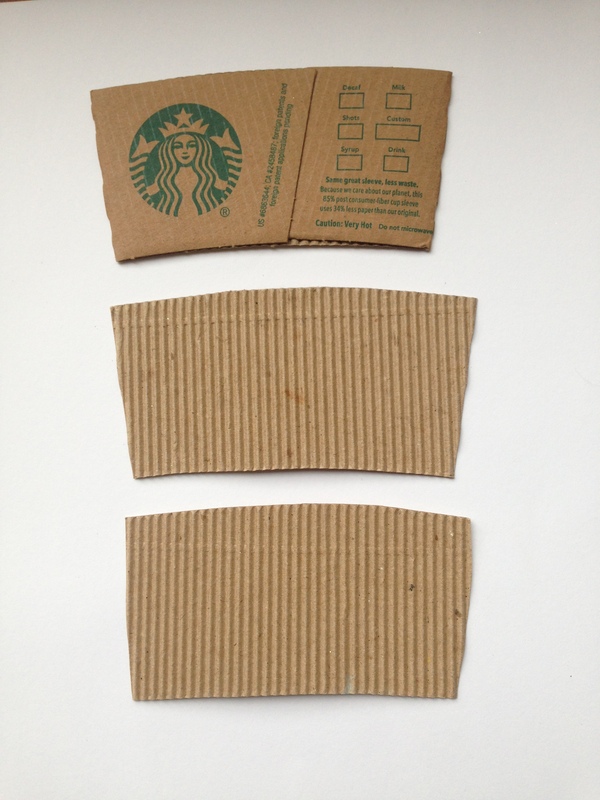 Get a few coffee sleeves from Starbucks. 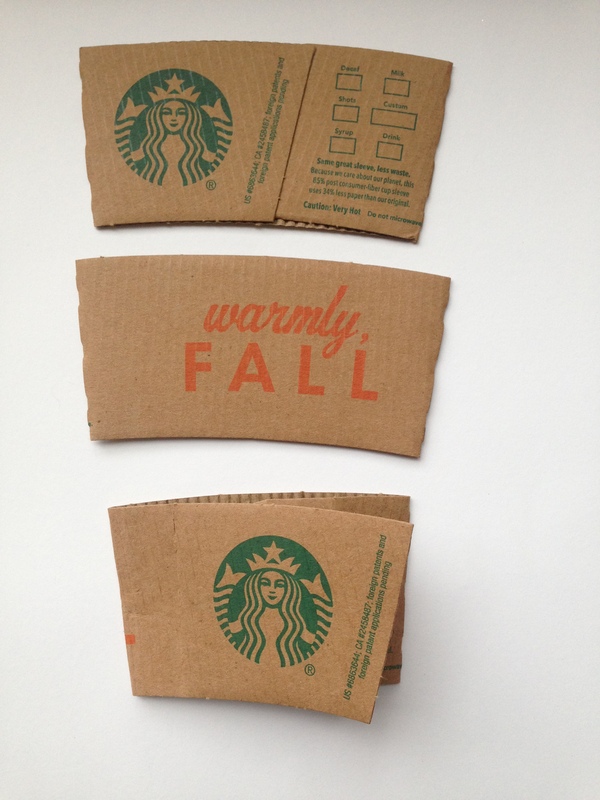 Apparently they missed the memo that I needed a perfectly centered, non holiday themed coffee sleeve. I thought I could just refold the sleeve but I hated that you could still see the random text and part of the orange holiday themed text. 5. So then I decided to turn it inside out. Genius. But WTF is up with the black numbers. 6. 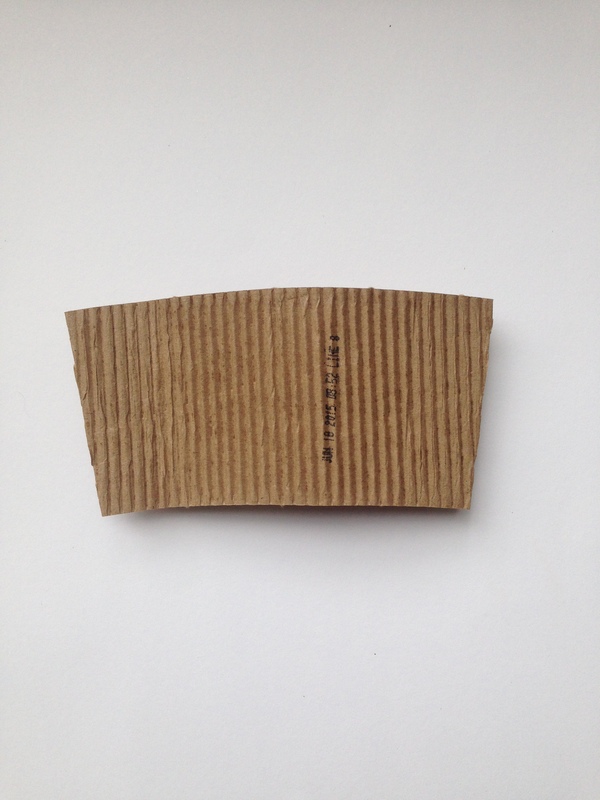 I then remembered I had a random sheet of paper from an old craft that looked exactly like the inside of a coffee sleeve. Perfect. I got that, and traced the sleeve. 7. 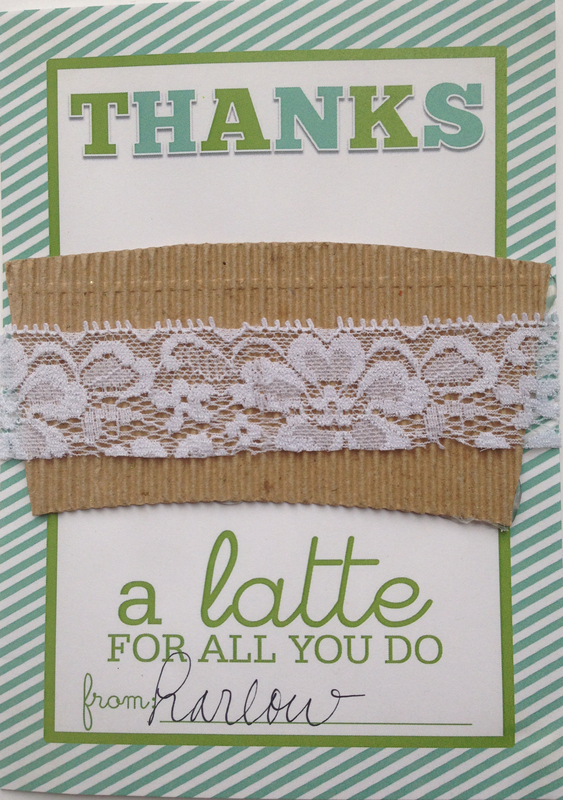 Hot glue the coffee sleeve on to the card. 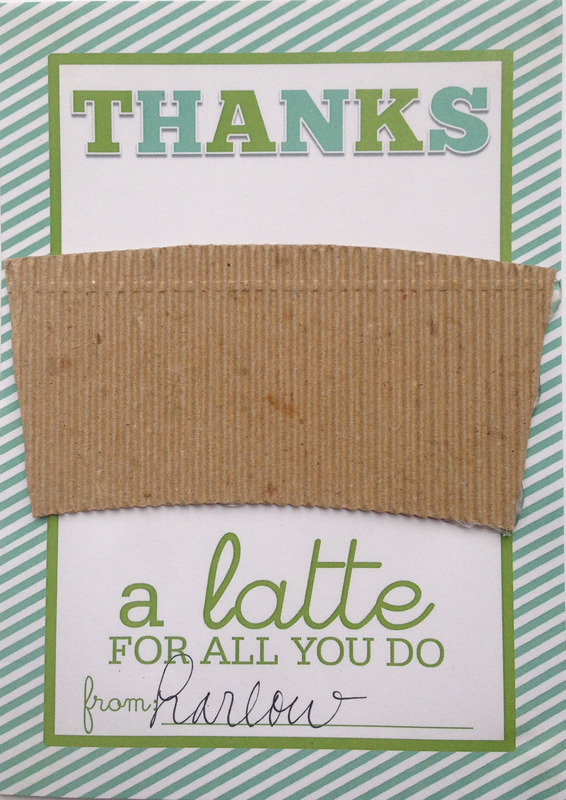 Do not glue the very top as you will need that open to slide the gift card in. 8. When I was going to have to use the inside out sleeve (with the numbers on it), I thought it would be cute to add some lace to add a little pop. After looking at the above photo, I thought that would definitely be a cute idea. 9. It still needed a little something extra, so I grabbed some yarn from another project and added a little of that to the top of the lace. 10. Finished product! I hope her teachers like it.